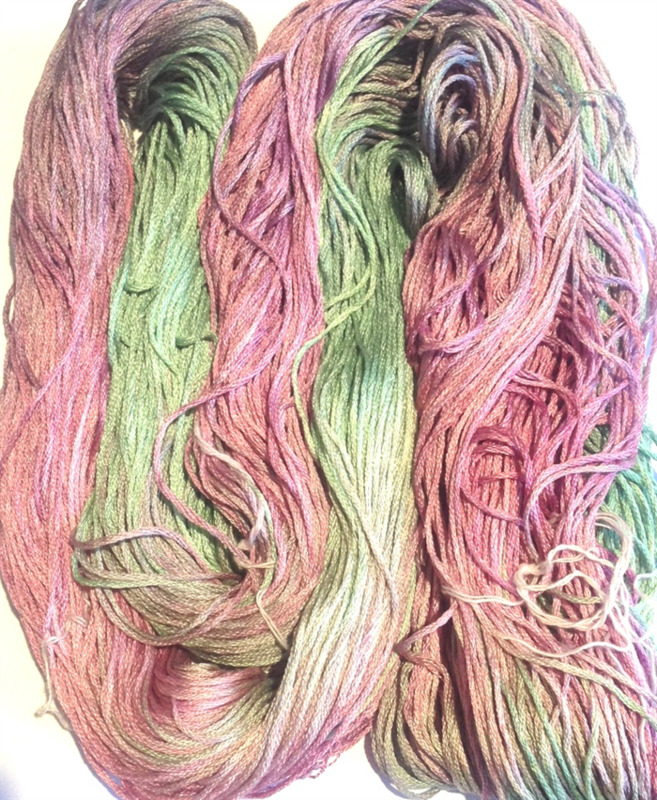 This is a 230 - 240 metre, 6 strand hank of our new Premium Silk. It is has a lovely shine, the strands are thicker and it is soft and beautiful to stitch with. This is equal to 29 - 30 skeins of DMC. It has great coverage with 2 strands over 2 fabric threads on smaller count fabric and canvas and with one thread on 32 count fabric and above. This is a pretty rose pink and soft mid green. 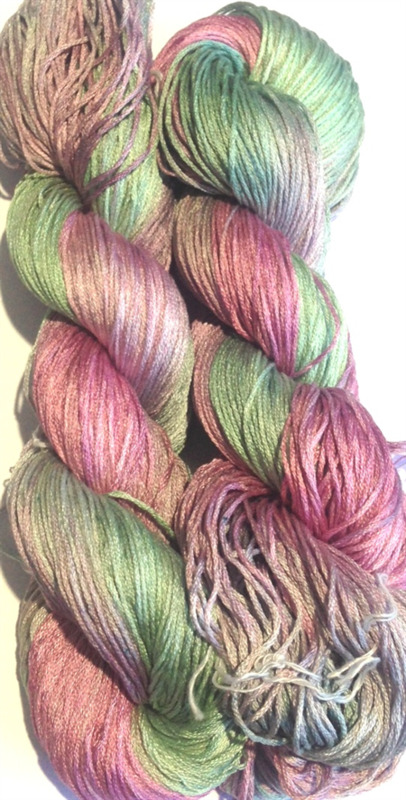 Because this silk is so shiny, the differences in colour are often exaggerated in the photo. If you have any questions, please ask. Not only are these new hanks of Premium silk exceptional value for money - skeins of this quality silk would be at least $200 value, we have a buy 5, get one free deal on these hanks. We can custom dye any colour for you. Just click on the 'Custom' button. If you buy 5, choose another and we will send it free. Just write your choice in the notes section of your order.